Just a rumor, but a worrying one. One of the best things about being a PC owner is the ability to overclock our hardware. It’s always fun to tweak a GPU, for example, and squeeze a few more frames per second out of it. But new rumors claim Nvidia’s expected next card — the GTX 1070 Ti — won’t be overclockable. Speculation that a third ten-series Ti card was in the works first appeared during September. And while the GPU still hasn’t been confirmed by Nvidia, several new reports have surfaced claiming the GTX 1070 Ti will be released sometime around the end of this month. Not only is this new graphics card just slightly less powerful than the GTX 1080, but it’s around $100 cheaper — the 1070 Ti will reportedly cost about $420, whereas most GTX 1080s range from $520 up to $650 or more. Plus, it was assumed that users could overclock the upcoming GPU, thereby shrinking the performance gap between the two cards even further. But according to Eteknix, this won’t be possible. Citing an “industry insider,” it reports that the GTX 1070 Ti won’t support any form of overclocking. "In addition, we've been informed that Nvidia will not release any reference cards and all AIB (add-in-board) partner cards will be locked to the same speeds. However, price and aesthetics are expected to differ across partner cards," writes the publication. Reports from Chinese-language site Expreview are similar but slightly more appealing. 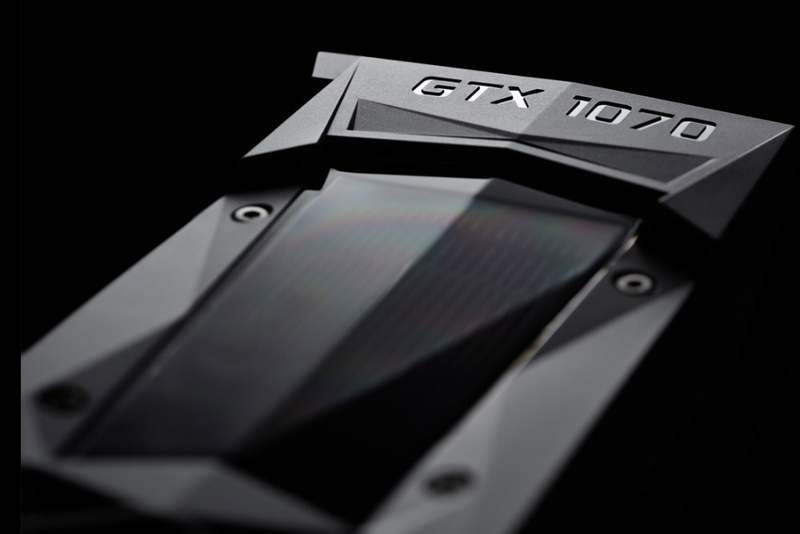 It also claims Nvidia will ensure all its hardware partners sell the 1070 Ti with the same 1607 MHz base clock and 1683 MHz boost clock, but that “manual overclocking,” as in the post-purchase kind done by consumers, will still be possible. The 1070 Ti is said to have 2,432 CUDA cores and 152 TMUs, which is very close to the GTX 1080's 2,560 CUDA cores and 160 TMUs. It’s also thought to come with 8GB GDDR5 on a 256-bit bus. Should Nvidia really place some kind of OC limitations on the GTX 1070 Ti, the scenario reported by Expreview would be the most likely method of implementation. The company may prefer its partners don’t sell the card with factory overclocks so high that they risk cannibalizing sales of the GTX 1080. Whereas completely disabling overclocking could put a lot of people off buying one. With the GPU's release seemingly only a few weeks away, we don’t have long to wait for confirmation.